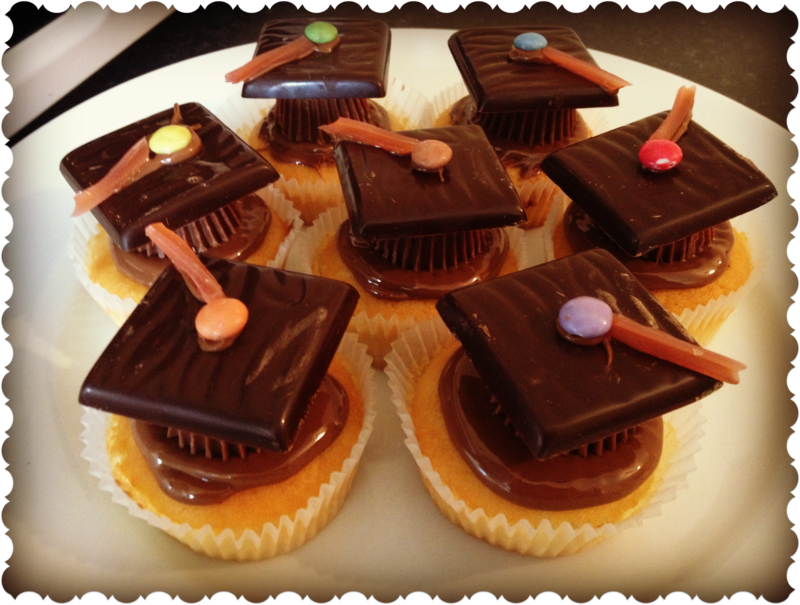 I first got inspiration for these cupcakes from Pinterest, where you’ll find an array of awesome Graduation themed cakes! 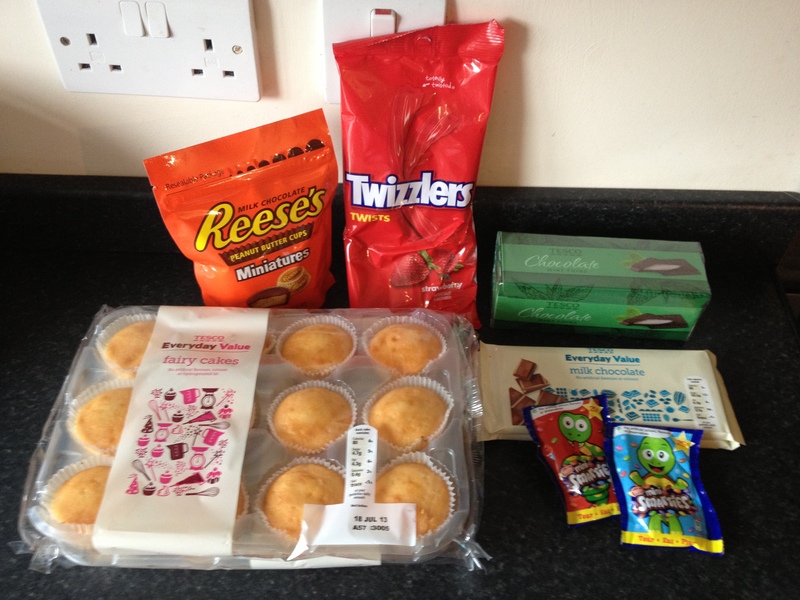 This week we were invited to a Grad Ball Pre-Party which we were asked to bring something for sharing with us. Therefore I thought this would be the perfect opportunity to create our own Mortar Board Cupcakes! Due to time and financial constraints (it’s the end of term!) we didn’t bake the cupcake bases ourselves, but any simple sponge recipe such as these easy vanilla cupcakes from BBC Food will do.  For the Graduation Hat cake toppers follow these steps! 1. Prepare the decorations by melting the chocolate, removing the Reese’s Peanut Butter Cups from the foil and cases and cutting up the Twizzlers into thin strips. 2. 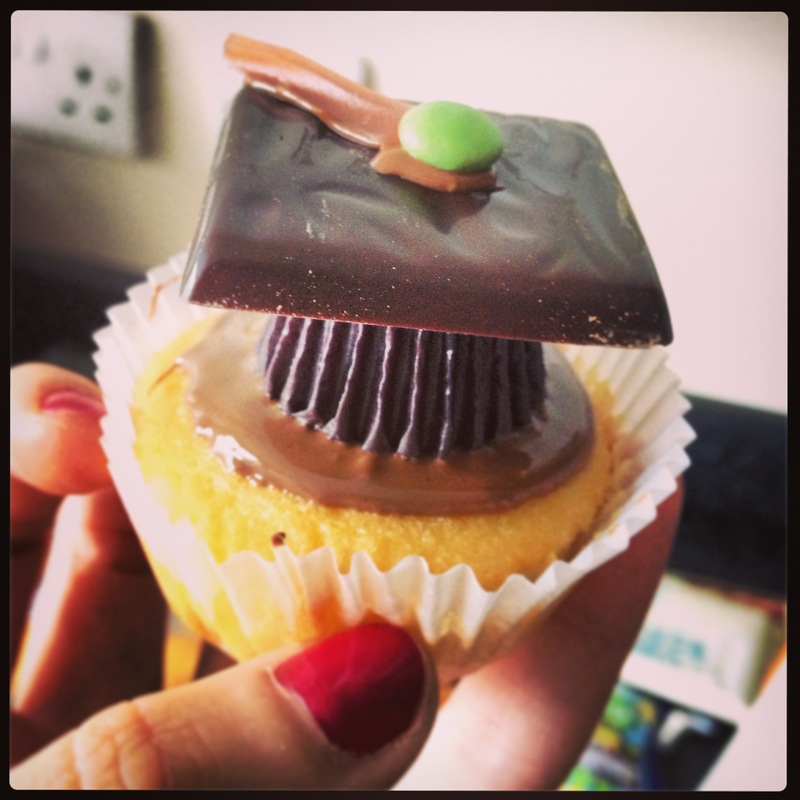 It’s easiest to make the Mortar Board hats first and then add them onto the cupcake base. 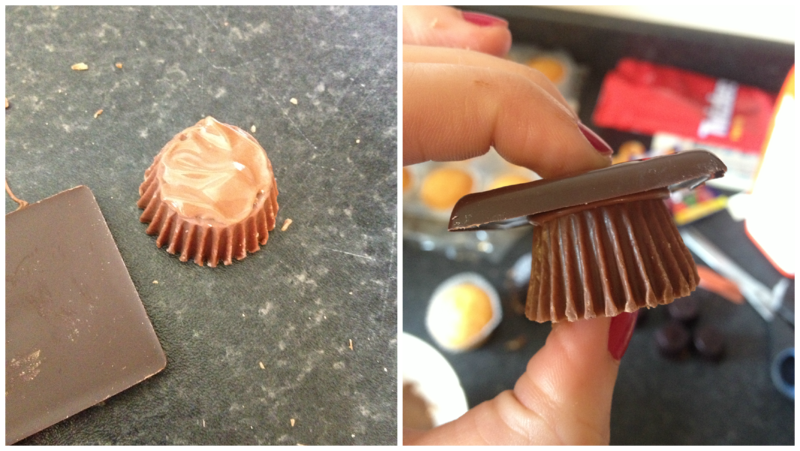 Start by adding a layer of melted chocolate to the base of the Reece’s Peanut Butter Cup and placing the After Eight chocolate on top. Hold and let them stick together. 3. Next add the mini smartie and strawberry lace tassel to the top of the hat. 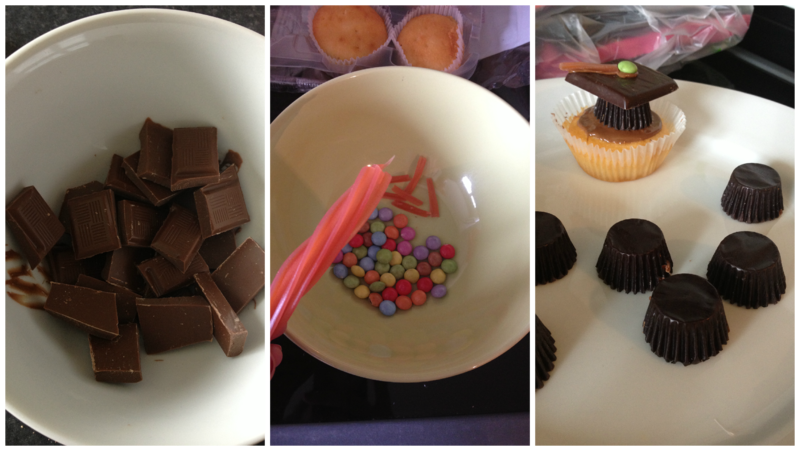 Stick by dabbing chocolate onto the smartie before placing it onto the After Eight, do the same for the Twizzler. Next add a layer of melted chocolate onto the top of the cake – stick the Mortar Board hat onto the melted chocolate and make sure it stays upright. 4. Let the chocolate set by leaving for 1 hour at room temperature or for 15 minutes in the fridge and there you have it! 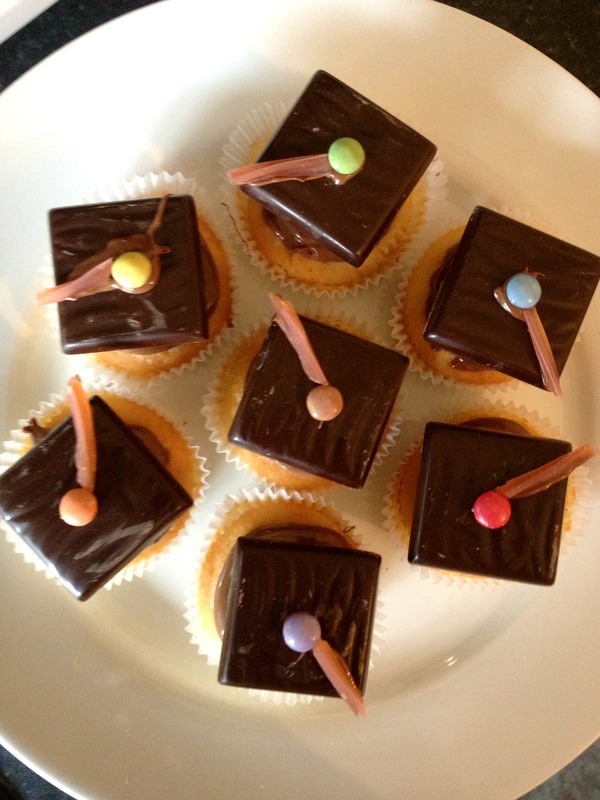 Some very easy to make Mortar Board Graduation Cakes! Enjoy the strange combination of Peanut Butter and Mint flavours… Comment below if you have any other suggestions for ingredients. Happy Graduating y’all!